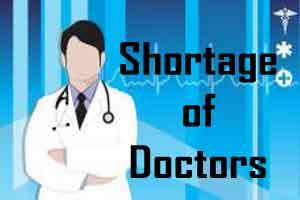 New Delhi: While the severe shortage of physicians in the country is a known fact, the figures became glaring for the specialty of anaesthesiology , as the World Federation of Societies of Anaesthesiologists (WFSA) released World Anaesthesiology Workforce map, online resource tool mapping the total number of anaesthesia providers worldwide. Across the world the map highlighted huge shortages impacting 5 billion people worldwide. It also showed a large difference between the average anaesthesia provider workforce densities in high income countries compared with low income countries. Indeed, increasing the anaesthesia workforce is essential to achieving universal health coverage. A lack of human resources in the health sector, and particularly a deficit in the surgery and anaesthesia workforce, means that safe adequate care cannot be provided for the neglected surgical patient. 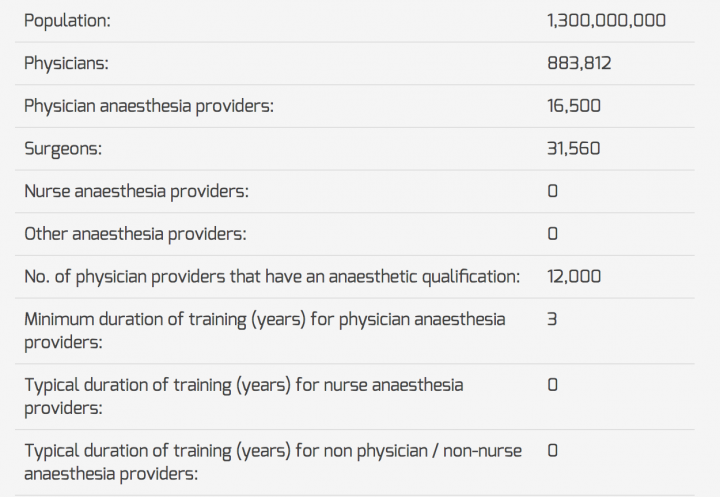 The indicated data concerning anaesthesia providers has been collected by a WFSA survey 2015-16 and has been checked for veracity. Data concerning numbers of physicians and surgeons has been collated from a variety of sources including the WHO, the Lancet Commission on Global Surgery and COSECSA.